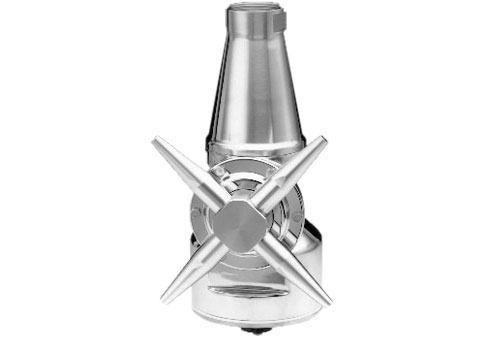 The patented Rotary Jet Mixer (RJM) doesn't just mix quickly, efficiently, and uniformly. It also creates the necessary process flexibility that makes it easy to switch to new product formulations with diverse viscosities, densities, and volumes. In addition to classic liquid-to-liquid mixing, the RJM is excellent for gas-and-powder dispersion and is a superb tank cleaning machine. Alfa Laval is a leading global supplier of products and solutions within the key technology areas of heat transfer, separation, and fluid handling. The RJM is ideal for process and storage vessels between 10 – 1000 m^3, used in a wide range of industries such as beer and beverage, food and ingredients, home and personal care, biotech and chemical industry, and health care. Ensure that the mixer is positioned in the correct level and submerged into the liquid before round pumping or adding any additional products from any up-stream pipe works. The RJM is self-lubricating with the mixing or cleaning fluid. Using the IM 25 Rotary Jet Mixer makes it possible, at a modest investment, to perform fast and efficient mixing in a sanitary system. In traditional systems, using propeller mixers, a rotating shaft penetrates the tank wall and a mechanical seal and a gear box are installed. With the Rotary Jet Mixer's technology, the shaft, seal, and gearbox are eliminated, delivering a more sanitary design. With the RJM, good mixing is achieved without the use of baffles. It can also be used for gas dispersion and for dispersion and dissolving of powder. Furthermore, it can be used for efficient clean-in-place (CIP) when the tank is empty, saving liquid, chemicals, and energy in comparison to a fixed spray ball CIP system. Literature for Rotary Jet Mixers have been saved to your dashboard! Literature for Rotary Jet Mixers are already in your dashboard.